After much hemming and hawing last week, Old Man Winter apparently decided that he took it a little too easy on us this year and opted for a springtime visit. 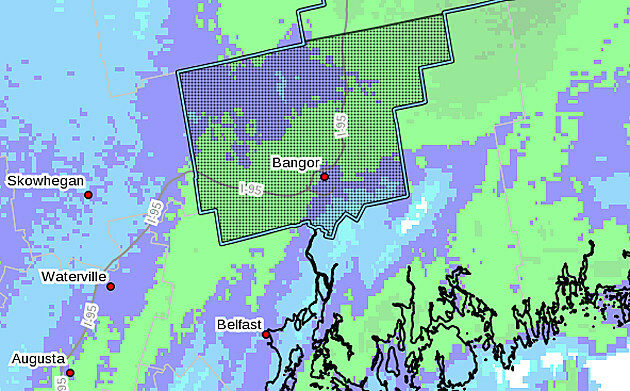 The National Weather Service on Monday morning updated its winter storm warning for the Bangor area, predicting six to 10 inches of fresh snow before the storm winds down around 8 p.m. The storm caused many school and business closures on Monday as well as some travel headaches.